Coming up on June 30th from 630-9pm is Whistler's annual Artwalk. 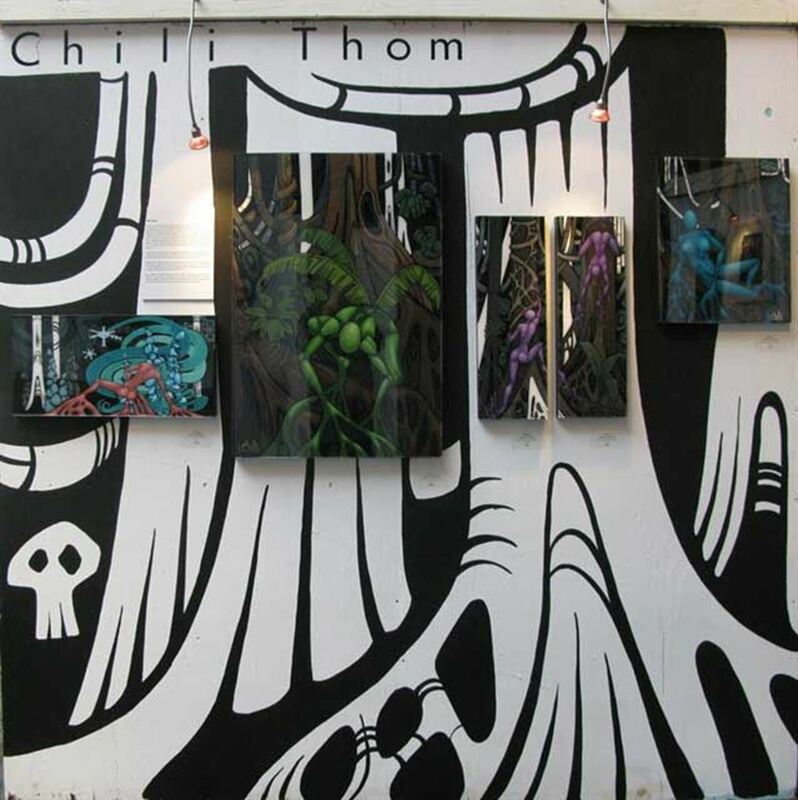 "A forest for the Trees" artshow walk through - from Chili Thom on Vimeo. 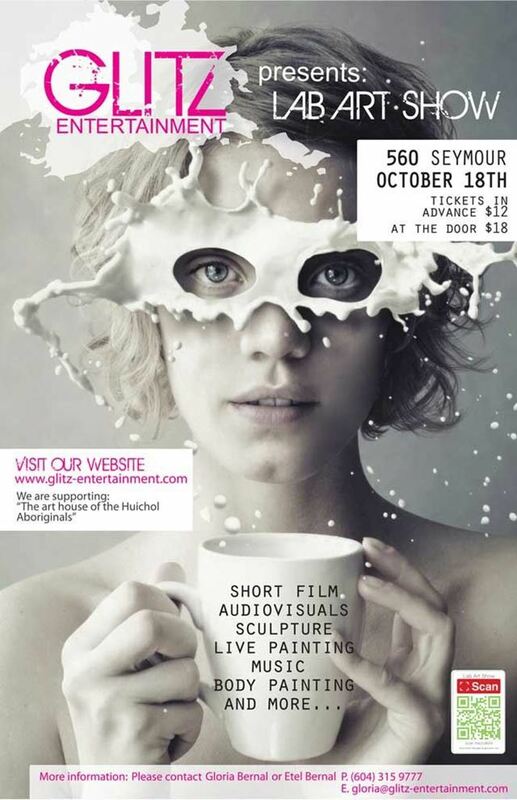 This is a video walk through of a really cool art show I had at my gallery in the summer. 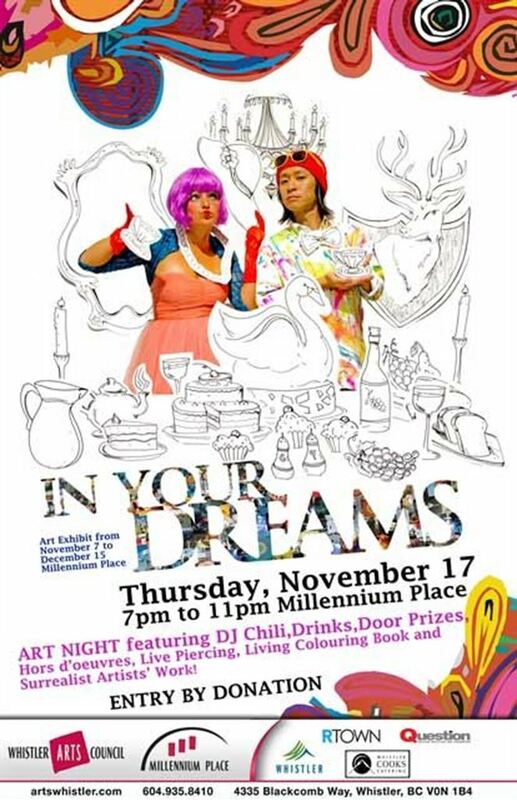 IT was a collaborative work of 26 Sea-to-Sky Corridor artists and included, paintings, photos, sculpture and installation art. 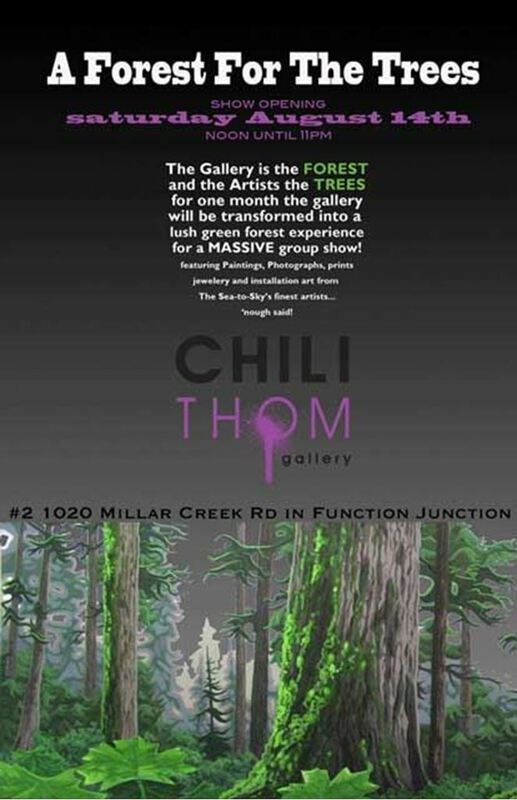 Here is the show flyer for the upcoming "A Forest For The Trees" art show at the Chili Thom Gallery.... hope to see you there!